Looking ahead too far... There is a popular phrase in college football called the "sandwich theory," referring to a top team having difficulties against a weaker team the week before a big rivalry matchup. One could possibly argue that this was the case for the Pens tonight, as they were not ready at all when Norfolk came into Mohegan Sun Arena and promptly handed the Pens' behinds to them on a platter. 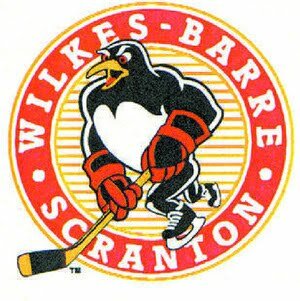 The Pens actually drew first blood 5:39 into the first when Tim Wallace put one home on the powerplay to give WBS the opening lead. Then the Pens decided to take a nap for the rest of the game. The Ads tied it up midway through the first when Chris Durno beat Theissen, and the score would remain tied at the 1st intermission. It would not stay that way for very long though, because Blair Jones hit the ground running in the 2nd with a goal just 46 seconds into the period. Jones struck again later in the 2nd with another goal and this one would be enough to break the back of the Pens for good. The Pens tried to mount a comeback, but that came to an end when Alex Berry buried an empty netter in the final minute. The truth is that this really wasn't a "sandwich game" for the Pens. They are actually ahead of Hershey in the standings, and are a serious threat to the division. Yet apparently Hershey was following the same theory in waiting for the Pens, and fell 4-2 to Binghamton. An interesting side note to this game was that both Steve Yzerman and Bill Guerin were in attendance at the WB. Yzerman was obviously watching over his young prospects, but Guerin? Maybe a scout? Position coach? Or just enjoying some hockey? If he did enjoy it, he was probably the only one.